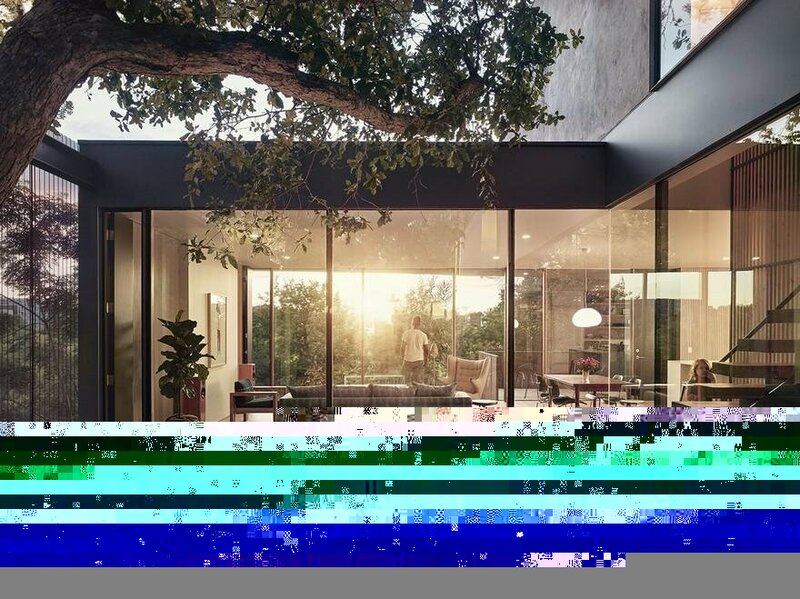 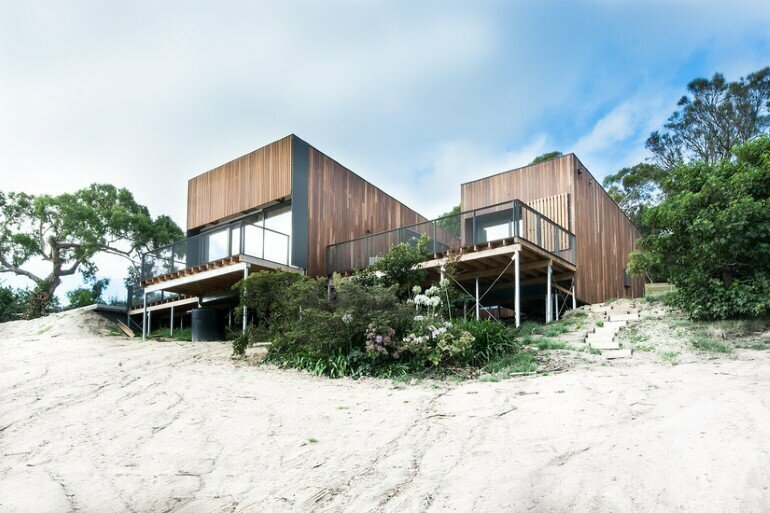 Ola Studio has designed Mount Martha House, a vacation home located in Mornington Peninsula, Victoria, Australia. 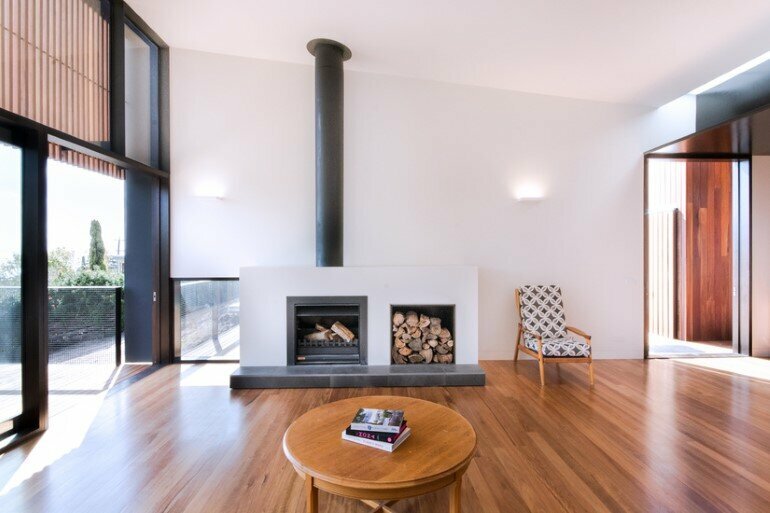 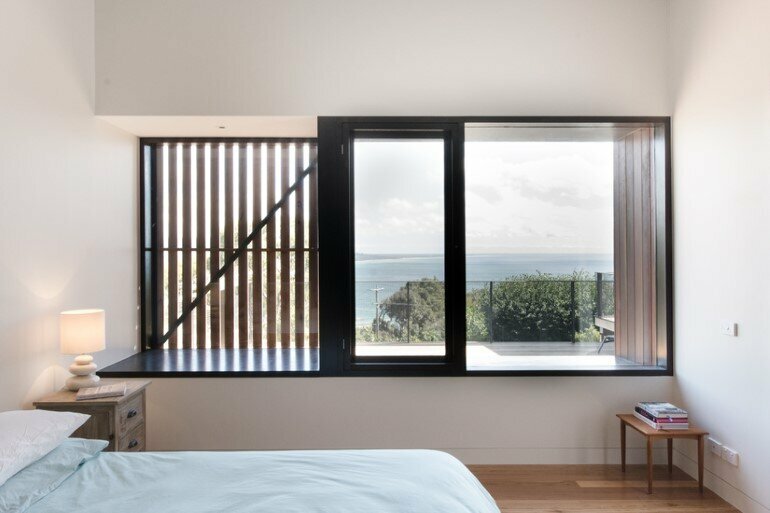 Description by Ola Studio: Mount Martha House is four bedroom beachside family retreat perched on a steep in a quiet pocket of the Mornington Peninsular region. 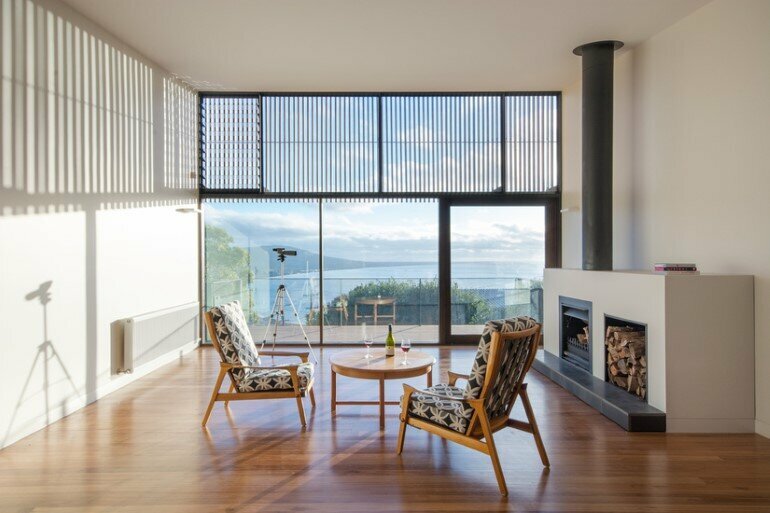 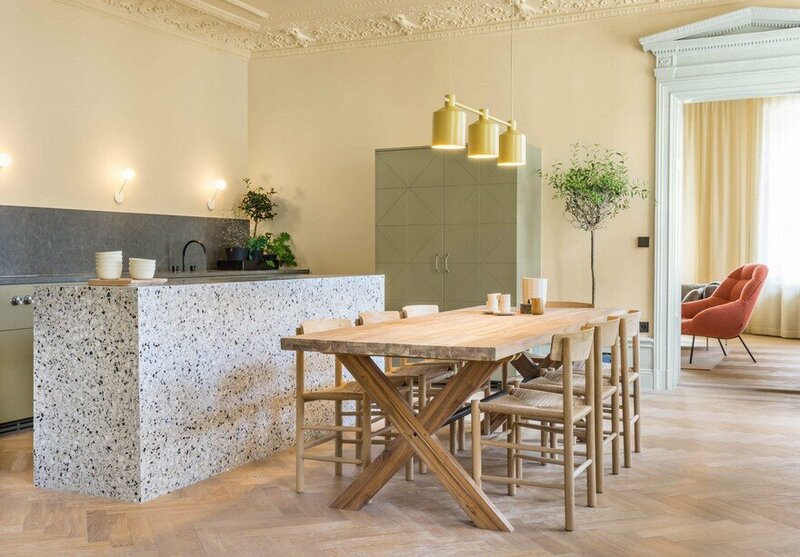 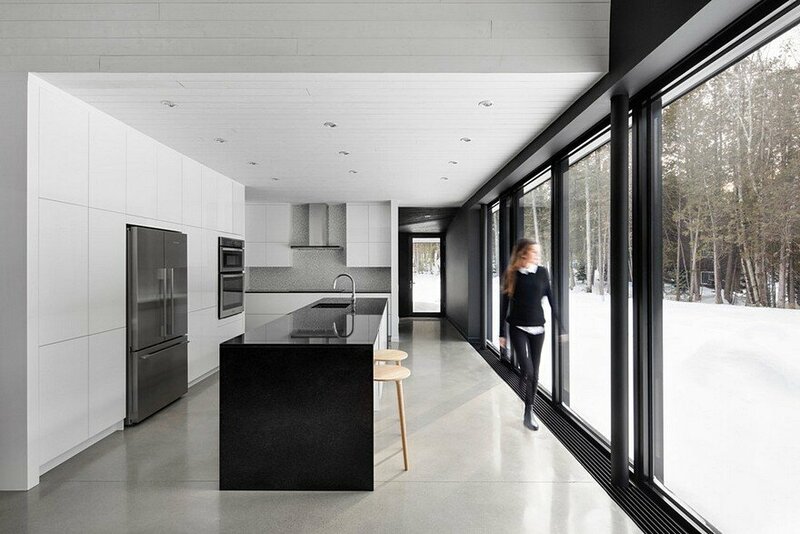 The dwelling is robust, and designed to withstand the challenges that exist in coastal environments, however is offset by the expression of finely considered detail and proportion to evoke a sense of lightness and warmth. 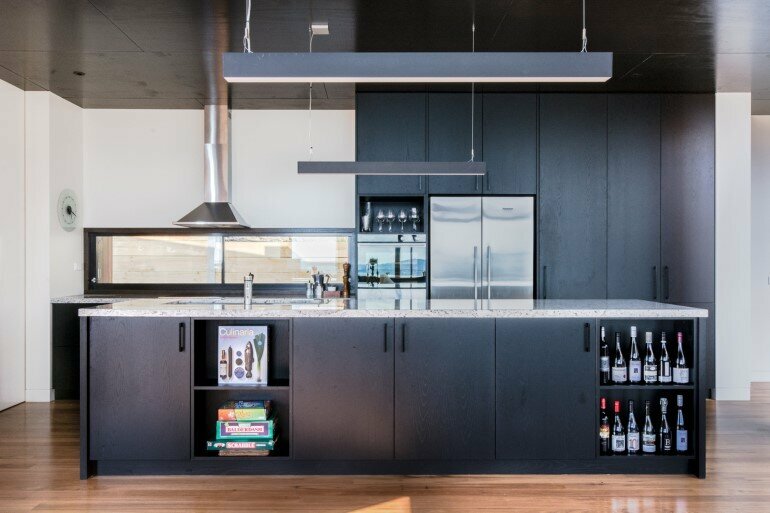 The single storey dwelling extends south west towards the bay to take advantage of expansive unobstructed views across the Peninsula. 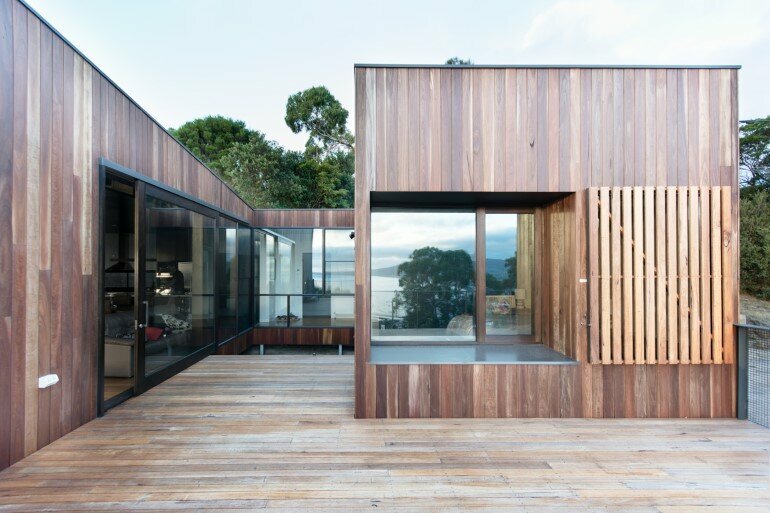 By appropriating the sloped site as such, the building emerges from the landscape to give the appearance it is effortlessly floating above the ground, allowing the house to engage with the site in both form and materiality. 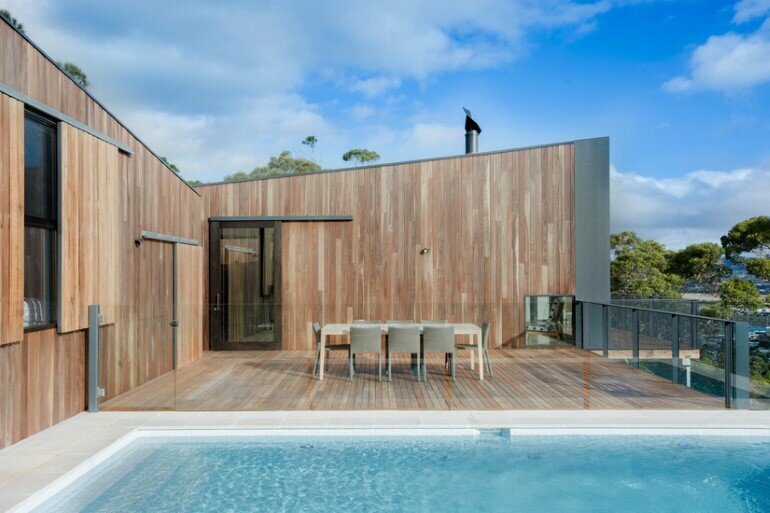 The application of natural Australian timber hardwoods for the external cladding reference the colours of the surrounding landscape and help the building to immerse itself as an integral extension of the site. 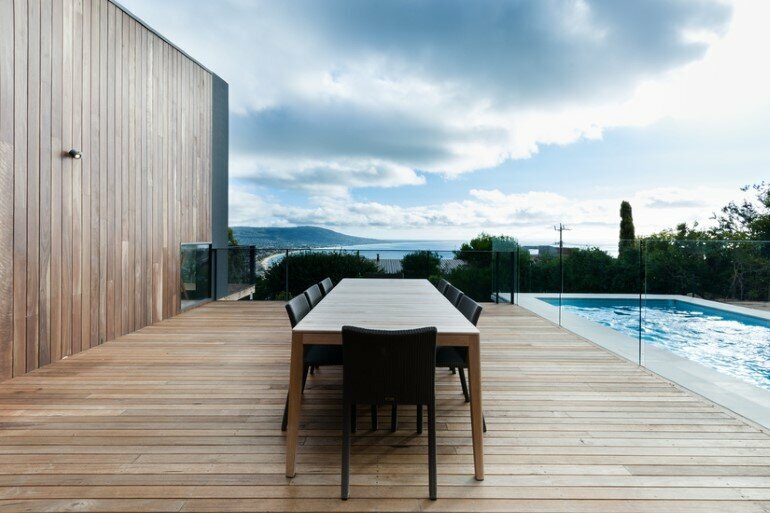 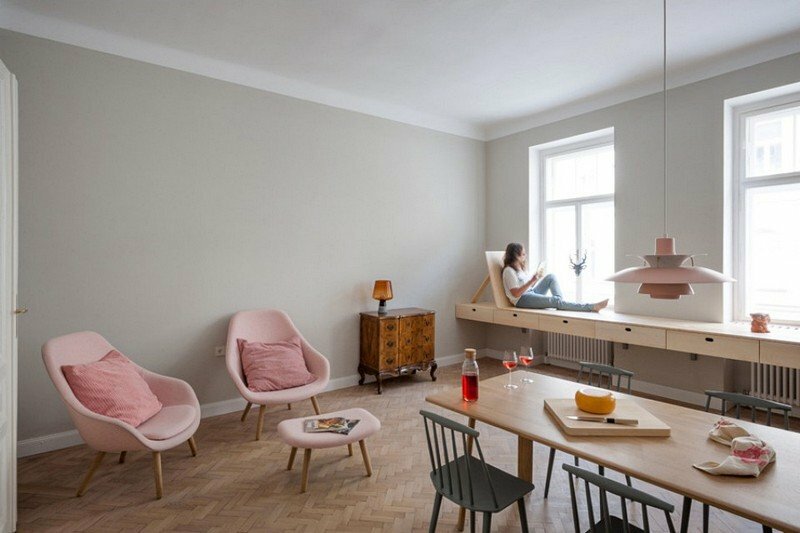 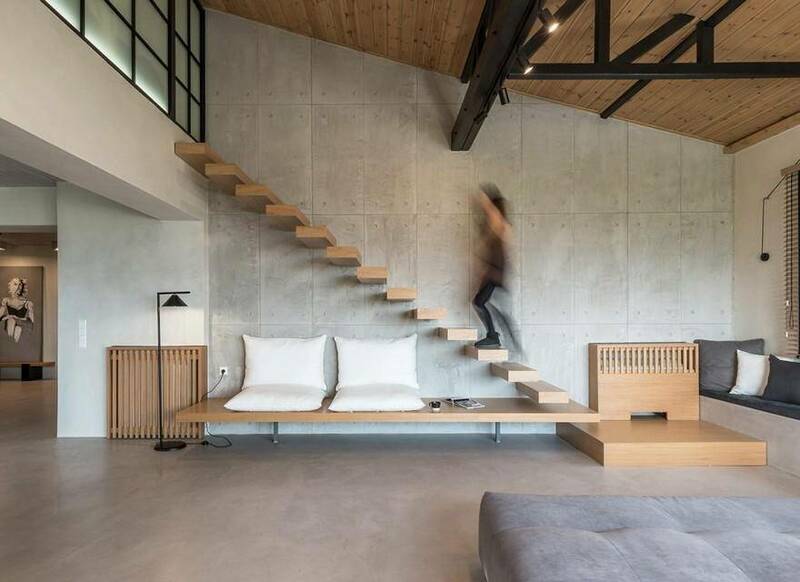 The planning arrangement of the house is divided into three primary zones consisting of the parent’s retreat, the kid’s/guest area, and a primary open plan living space and kitchen area which are all directed toward the coast line. 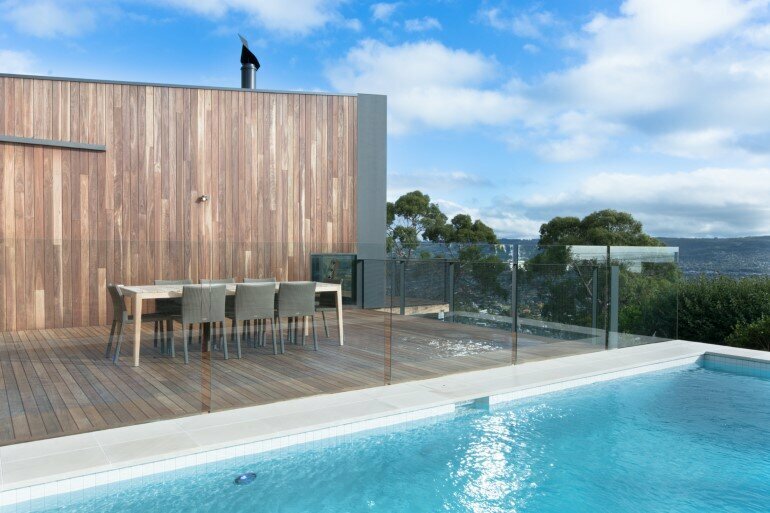 This promotes a variety of open and intimate spaces that maximise solar access and the excellent views to the south.